Way back on January 26, 2015 the Centers for Medicare and Medicaid Services (CMS) announced a goal of tying 30% of their traditional (fee-for-service) Medicare payments to quality or value through alternative payment models, such as ACOs (accountable care organizations) and bundled payments, by the close of 2016. The close of 2016 seemed far away at the time… but a year later, it’s right around the corner. Like it or not, value-based payment models are a growing reimbursement reality for hospitals and medical practices. 2015 was the first year that large medical groups could be penalized by the CMS for failing to participate in one of three ‘PQRS’ (Physician Quality Reporting System) reporting methods, and even private payers are jumping on the value-driven bandwagon, with Anthem and other large insurers discussing publicly that they have billions of dollars in contracts now tied to value- or quality-based programs. The expansion of value-based payment approaches among commercial insurers will only grow as Medicare leans into the model even further in coming years. (The Obama administration has said it will increase to 50 percent the amount of all Medicare dollars paid to doctors and hospitals via alternative reimbursement models by the end of 2018.) It’s increasingly clear that while fee-for-service payments aren’t going away anytime soon, the U.S. healthcare system is definitely phasing them out of relevance. So if your practice is still clinging exclusively to the fee-for-service model, it’s time to loosen your grip. A value-based reimbursement system, in which the quality of patient care and associated outcomes carries more weight than the number of encounters or services rendered, is a big change from the traditional healthcare payment model – but not a bad one. If you’ve so far dodged PQRS participation, declined to join an ACO, or otherwise avoided value- and quality-driven payments, now is a smart time to take action to evolve your business model. 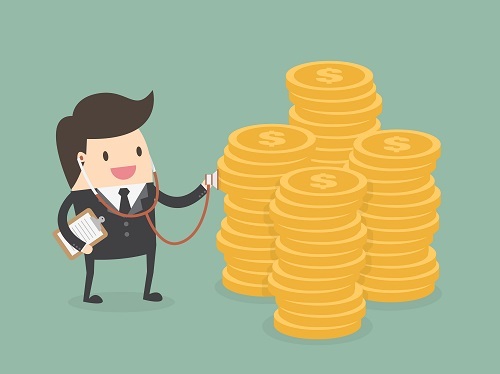 Here are a few ways to start getting comfortable with value-based pay. Perform A Self-Analysis: Your practice is obviously confident in the care you deliver to patients, but are you confident enough to be paid based on quality, prevention, and positive outcomes? Look internally to start monitoring how effectively you control patient costs, especially for chronic-care patients. Measuring how often you deliver preventive health services – such as immunizations, physicals, or well-woman visits – is also important. Try With a Single Insurer: Contact a payer in your network that’s publicizing value-based payment approaches, and talk to them about revising your contract. "If you are able to get the payer to say 'Look, If you can provide better care at less cost, I will pay you more money than I have been paying you,' or 'I will give you a share of those savings,' it's an opportunity to revise how you practice and how you use the staff and so forth," says Kip Piper, a healthcare consultant in Washington. Enhance Patient Engagement: Care coordination and patient outreach are vital to most value-based payment models. Make sure your practice has the staffing bandwidth available to start contacting other providers about your patients’ course of care, and following up with your patients more regularly regarding their treatment plans, medication use, and more. If you don’t have the human capital on staff, get it – a new hire who’s adept in care coordination can provide tons of value to your patients and show payers you’re getting ready for the value-based future.